House hunting can feel like an adventurous new chapter in your life. If you’re lucky enough to find the property that checks off all the “must have” boxes — appearance, size, price, location — it’s easy to fall in love. Before making an offer on any property, it’s smart to take a deeper look at the overall structure and its systems, just to make sure warning signs of major and costly problems are not hiding in plain sight. If the house holds more issues than your budget (and drive to renovate) can handle, it might be best to walk away. Once the offer is accepted, it’s a smart idea to hire a third-party home inspector to take an in-depth look at the property. In the meantime, one last pass-through with this checklist in hand can give you peace of mind about taking the next step. Exterior: Walk around all four sides of the house, scanning it from ground to rooftop. Note the condition of the doors and window frames, and look for cracked or peeling paint or signs of loose siding. Higher up, eye the chimney, making sure it appears straight and is in good condition, while the gutters and drainpipes should be in place and functional. Roof: Ideally, the roof would be 10 years old or less, so scan the roof for the classic warning signs of aging and neglect. Yard: Take note of the landscaping. Is there a slope angled away from the house, or is there a potential for a flooded basement after a major rainfall? Mature trees provide lots of shade, but watch for overhanging branches, as these can break off in a storm and do major damage to the roof. Finally, take note of the condition of the driveway and sidewalks. Plumbing: In addition to checking basement and undersink pipes for signs of leaks, scan the ceilings for water stains. Open all the faucets to check the water pressure as well as the time it takes for hot water to reach the tap. HVAC system: Know the age of the heating and cooling systems, and check these for tags and other signs of routine maintenance. If the system is older than a decade, that can spell costly repairs and a replacement in a brief time frame. When it comes to older systems, energy efficiency is another consideration, according to Tom Tasker, product manager with Coleman Echelon Variable Capacity residential systems. “Newer HVAC systems are remarkably more efficient when compared to those from even a decade ago, which means they keep your house comfortable for as little as half the cost,” Tasker says. For example, Coleman’s Echelon products are rated up to 20 SEER, which stands for seasonal energy-efficiency ratio. Compare these to the 10 SEER systems of 25 years ago, and that can give you an idea of what to expect in potential energy costs, he says. Appliances: Note the age and condition of things like the refrigerator, oven and range, washer and dryer, and hot-water heater. As with the HVAC, older appliances tend to consume more energy and you’ll face a shorter timeline for needed repairs and replacements. 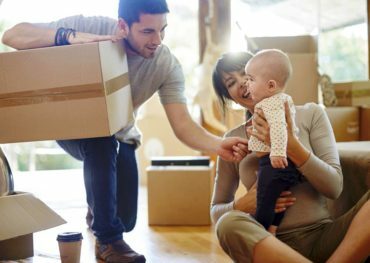 Buying a house is a big decision, but knowing what you’re buying can go a long way in assuring you that you’ve found the right place.